According to BP, drivers whose vehicles rely on burning oil have a little more than a half-century to find alternate sources of energy. Or walk. BP’s annual report on proved global oil reserves says that as of the end of 2013, Earth has nearly 1.688 trillion barrels of crude, which will last 53.3 years at current rates of extraction. This figure is 1.1 percent higher than that of the previous year. In fact, during the past 10 years proven reserves have risen by 27 percent, or more than 350 billion barrels. The increased amount of oil in the report include 900 million barrels detected in Russia and 800 million barrels in Venezuela. OPEC nations continue to lead the world by having a large majority of the planet’s reserves, or 71.9 percent. As for the United States, which lately has been ramping up oil extraction through horizontal drilling and hydraulic fracturing, or fracking, BP says its proven oil reserves are 44.2 billion barrels, 26 percent higher than in BP’s previous report. 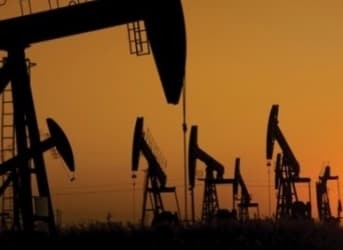 This is more than reported most recently by the U.S. Energy Information Administration, which had raised its own estimate by 15 percent to 33.4 billion barrels. That means shale-oil extraction enterprises in the United States have more to offer than many first believed. The sources include the Bakken formation spanning Canadian and U.S. territory in the West, the Eagle Ford formation in East Texas and the super-rich Permian Basin in West Texas, which alon holds 75 billion barrels of recoverable fossil fuels. And though Eagle Ford and Bakken seem to hold far less oil, EOG Resources, which has been working Eagle Ford, has increased its estimates of the site’s reserves. The Motley Fool reports that its latest estimate of recoverable fuel is 3.2 billion barrels, more than the nearly 1 billion barrels expected in 2010. And while the amount of proven oil reserves, and their extraction, are rising each year, so is concern about how their recovery. Not only do new extraction methods use huge amounts of energy to get even more energy, particularly from shale, they also use chemicals and metals that many fear poison nearby soil and groundwater, and generate huge amounts of toxic wastewater. Such methods are helping the United States, for example, to achieve energy independence. But that won’t apply to China, a huge customer for fossil fuels. BP says Asia-Pacific oil reserves will last only 14 years at current rates. That means China will have to keep importing oil, putting further strain on global reserves. The BP report is what we would like to believe. We want to believe that there is lots of oil, and that it is economic to recover. Reserves need to be defined in terms of affordability and consumer demand. We will never run completely out of oil. But we may run out of dollars to purchase it. Today, we are faced with drilling much deeper with longer runs to gather highly disbursed, tightly held oil in shale. Shale oil is very expensive to extract. The question is: how much more expensive is it going to get? And, will the world price for oil stay above $100? Today's oil is up from $35/barrel in 2003. Oil economics are getting a little marginal from the consumer's point of view. As I said, we will run out of dollars before we run out of oil. Be careful with stats that talk about reserves quoted "at current rates of consumption". What one has to say is, preferably, at "current rates of increasing consumption". Prof Bartlett parsed similar figures for coal. Coal reserves at current rates of consumption were forecast to last 500 years, but when the exponential growth was factored in the reserves would only have lasted 53 years. That's a huge difference. In fact oil will last "forever". The problem is not the total oil reserves. The total will be limited by the willingness to pay whatever it costs to get it. No one willingly will want to go broke extracting oil which costs more than the buyers will pay. Already tight oil is selling at less than cost. That will be more like the future. Renewables are no panacea, what we need is actually oil, in all its fractions. Your facts depend upon the source for your facts. British Petroleum (BP), with its history mismanagement (causing the largest oil spill in all of U.S. history), and its reputation for operating its own refineries in both Texas and the Pacific Northwest under its own rather barbaric version of "political correctness" is hardly what I would call either a reputable or reliable authority (unless you like your authority with a double dose of heavy handedness). Even if a new source for energy is discovered within the next decade that is as economical and efficient as cheap oil was), it would take another 20-years to make that source of energy universally available. So, if BP's estimates of the world's supply of cheap oil are to be trusted, the window of opportunity to save ourselves just shrank to 20-years. And with the world being so expert at denying its problems (like how Climate Change doesn't exit), and to cover unpleasant realities with more and more (not less or even enough) of "hope and change" . . . well good luck with that. John Doyle understands that the wording is important here. The late great Professor A Bartlett explains why in his lectures (available free on You tube) this news explains the rush to frack but not the lack of purpose and planning needed to be put in place now. The pessimistic imperative is also worth listening to entitled "You have no idea how wrong you are" a more humorous look at why Humans get things wrong all the time! (also on you tube. Forget about running out of dollars, think about EROEI. Energy Returned on Energy Invested. If it takes more than 5,800,000 BTU's to extract you have an energy sink. Sure you can use electricity generated by coal nuclear etc. or Natural Gas, but at that point you are changing those forms of energy into extracted oil. Don't forget about energy to refine, and transport this oil. All this together means we have significantly less than 53 years's worth. Which wasn't a lot to begin with. Somewhat hidden in this article is the fact that proven reserves increase with any increase in oil prices. This means we will always have several decades of oil production available, no matter how little there is, since as oil becomes harder to extract the price keeps rising. Note that "during the past 10 years proven reserves have risen by 27 percent, or more than 350 billion barrels", which is more than the world used in that interval. The reason is, of course, that the price of oil has skyrocketed during that time, moving all sorts of previously non-economically extractable oil into the reserves column. As others have pointed out, this increase in "proven reserves" does nothing to bolster per capita oil consumption or the economy in general. Even as the rate of oil production collapses, as it inevitably must some day, and prices soar higher and higher, we will find that we will still have many decades of reserves available at the new (lower) rate of production. That will be little consolation to those millions who find themselves starving in the dark. Here's an opposite perspective: What if BP undersold the amount of oil left in order to drive more sales? Either way it's a nightmare. Looking at the big picture its easy to see that there is a limited store of oil left in the ground. Technology can only do so much. Theres enough for lucky us for a while but what about future generations? Do two things now: invest in oil cause as it gets more scarce it becomes more valuable (will people fight over whats left? ), as us citizens we should use foreign oil first and save ours. Duh ! Looking in outer space- we will run out of oil before that happens.